"Logging, road building, unsustainable recreation, oil and gas development, and mining to continue in mountain caribou habitat"
The battle to save the so-called gray ghosts — the only herd of caribou in the lower 48 states — has been lost. A recent aerial survey shows that this international herd of southern mountain caribou, which spends part of its year in the Selkirk Mountains of northern Idaho and Washington near the Canadian border, has dwindled to just three animals and should be considered “functionally extinct,” experts say. The Selkirk herd had been disappearing for the last several years. In 2009, the herd, the southernmost in North America, had about 50 animals and was declining. Wildlife officials in Canada began a last-ditch effort to protect them by killing wolves, which occasionally preyed on the few caribou that remained. 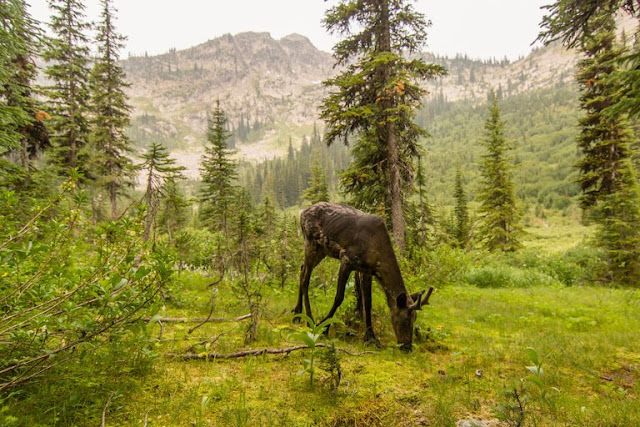 But the root cause of the extirpation of this herd and the decline of others in Canada is extensive industrial development in British Columbia, experts say. 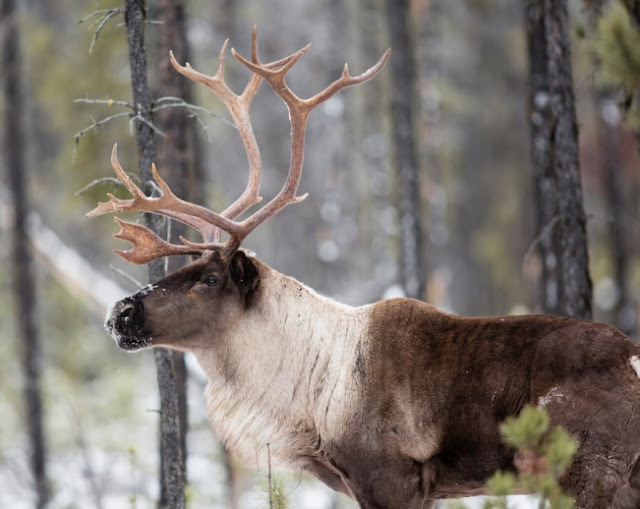 “The functional loss of this herd is the legacy of decades of government mismanagement across caribou range,” said Mark Hebblewhite, a wildlife biologist at the University of Montana. Known as gray ghosts because they are only rarely glimpsed, they differ from other types of caribou, which are plentiful on the tundra. The feeding behavior exhibited by the animals, which are also called deep snow caribou, is unusual. As snow builds up in the winter they head higher into the mountains, where they stand on snow to be able to reach and feed on lichen called Old Man’s Beard that grows on the branches of old-growth trees. The total number of southern mountain caribou in Canada declined to 3,800 this year from 4,500 the year before, and their existence is considered precarious. 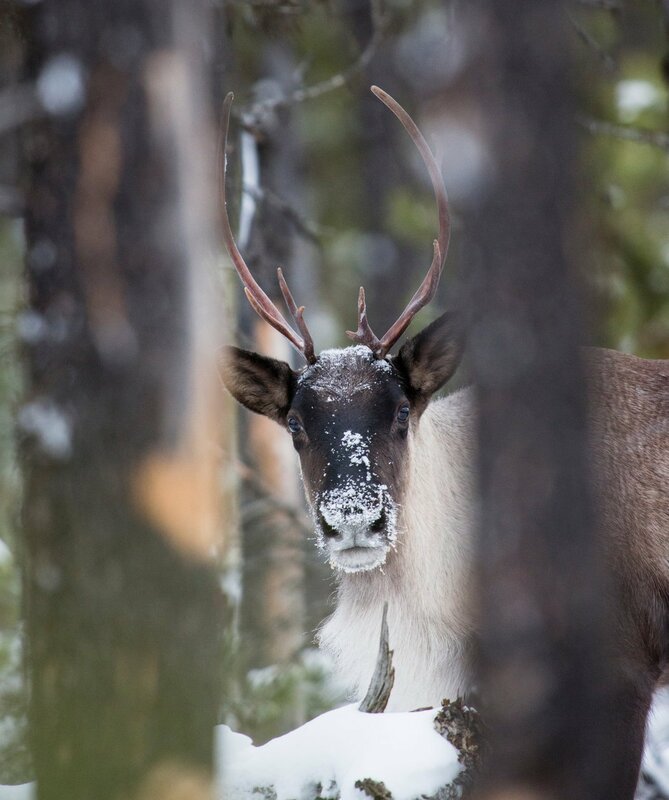 “Only an interconnected system of protected habitat and land managed for conservation will prevent the loss of mountain caribou,” said Candace Batycki, a conservationist with the Yellowstone to Yukon Conservation Initiative in Alberta. Responses to "Gray Ghosts, the Last Caribou in the Lower 48 States, Are ‘Functionally Extinct’"
Mankind is again responsible for the ''Gray Ghosts,the very last Caribou that are ''Functionally Extinct ! will man ever realize that once gone they will never come back . Can anyone really live with that ? i can't as these are God's animals instead of destroying them we should of did everything we could of done to protect . we will rue that A'HO ! !